I am a soup person year round. It doesn’t have to be 20 degrees or snowing for me to crave a bowl of homemade soup. Something about this time of the year does make it taste that much better though. I was never a fan of canned soups. They’ve come a long way and many brands have a special organic or health conscious kind but you end up paying an arm and leg for them so it’s almost not worth it. If a can of soup is 88 cents, than chances are it’s not that good for. Opt for homemade liquid gold instead! This soup is one I never grew up on. My mom usually stuck to chicken noodle or beef and vegetable soup and they were honestly so delicious that I was never even interested in trying any new ones. I eventually started trying new soups at restaurants and just fell in love with the simplicity of soup and how comforting it could be. 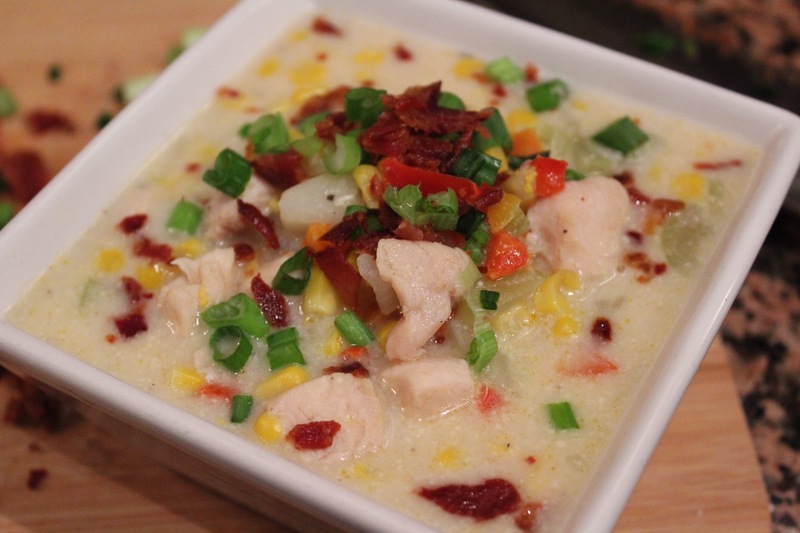 I love chicken, I love corn, I love bacon and I love soup. I hav sby no means invented this soup, I’ve just tweaked it to my liking. I took out the heavy cream and baked the bacon to really get rid of most of the fat. It’s inexpensive and you can make a lot at one time. The recipe is easy to cut in half or double up and super easy to eliminate whatever ingredients you don’t like at all. 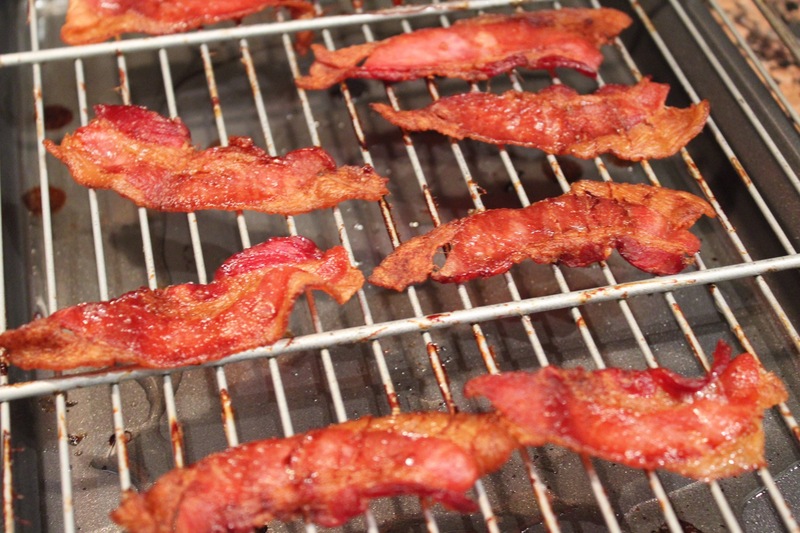 Before you start anything, turn the oven to 375 and prepare your bacon on an oven rack where it can drip. When the oven is ready pop it in for 10 minutes or until crispy and set aside to cool. In a large soup pot, heat your 2 tbsp of olive oil on medium high heat. Add your chicken, season with your thyme, oregano and some salt and pepper. (I would say 1 tsp each of salt & pepper)and stir around until semi cooked. Roughly 5-7 minutes. 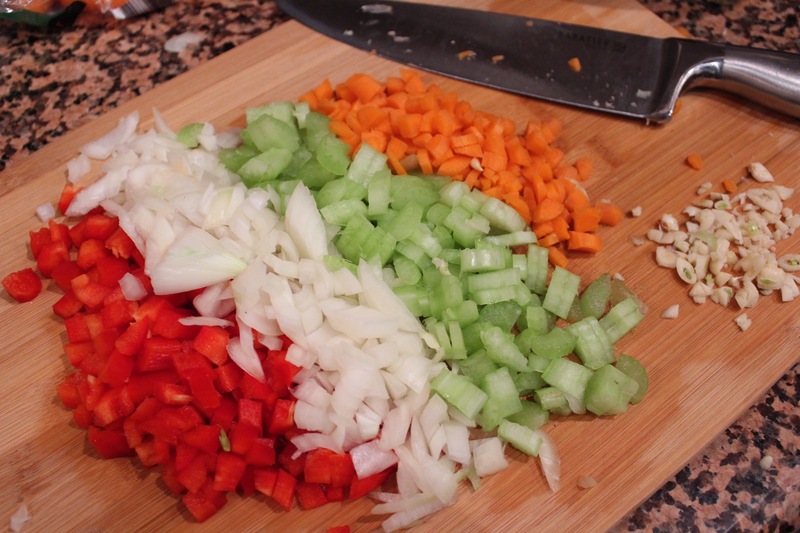 Add your veggies and garlic and let everything cook together until the veggies are tender. 2. 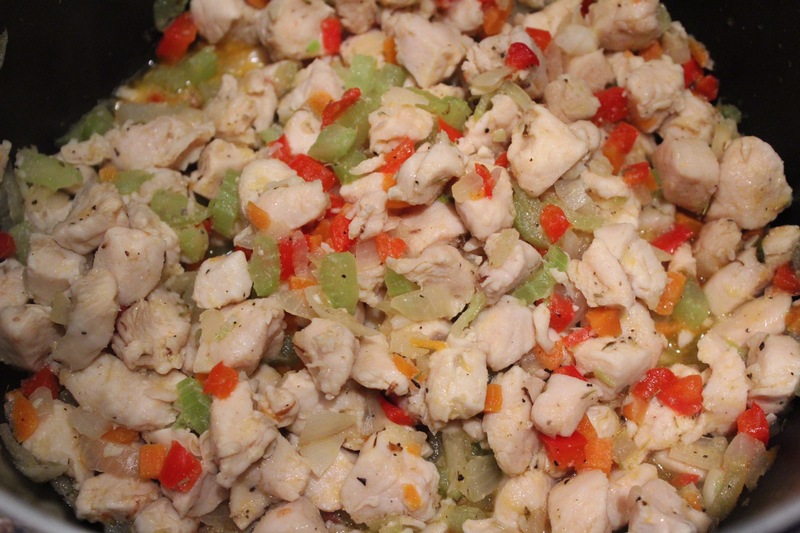 Once your chicken is fully cooked, add your chicken stock. If you like more liquid, add 1 additional cup of water at a time with 1 tsp of salt for every cup. Bring to a boil and add your potatoes. Cook about 15 minutes until potatoes until tender. 3. 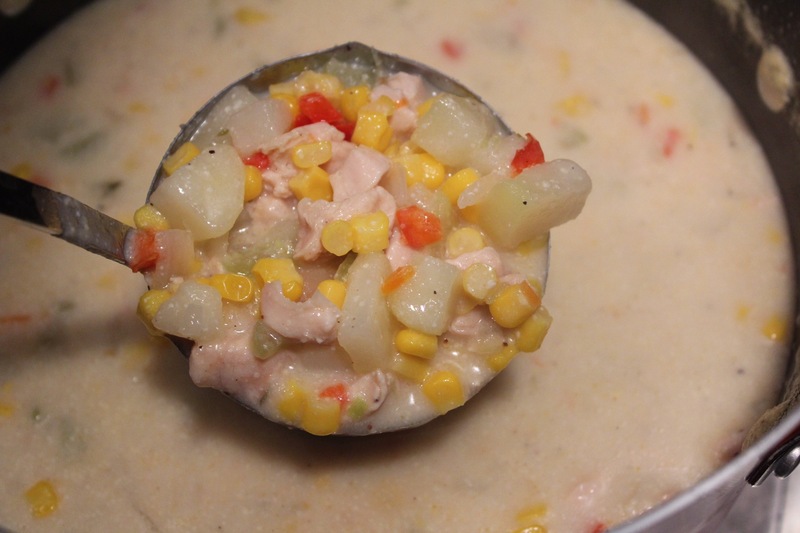 Reduce heat to medium low and add your corn and cream. 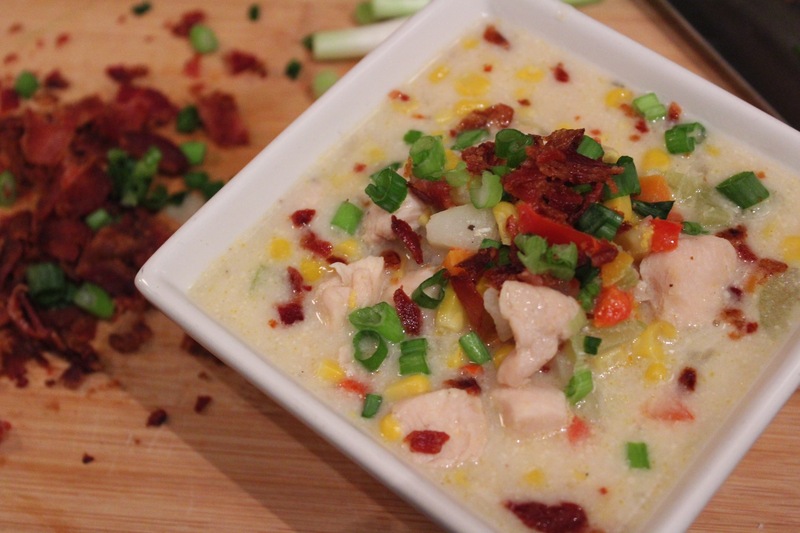 Let everything cook together on low for about 15 minutes and then garnish with your crispy bacon & some scallions.